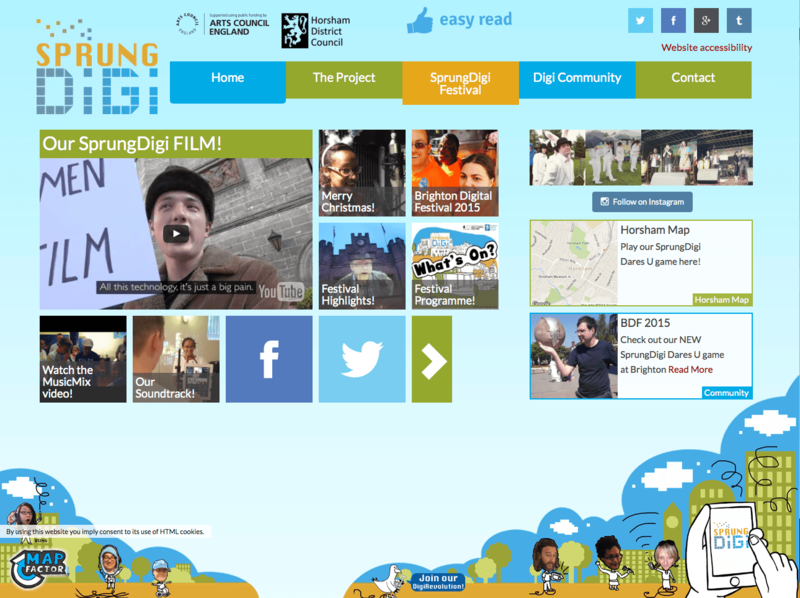 SprungDigi is all about learning disabled people getting creative and connecting with the world through digital tech. It’s a project supported by Arts Council England and Horsham District Council. The website and “Dares U” game both feature content made by disabled people, who acted as both producers and advisors. The website features easy read pictures for stripped down interpretation of content and image representation. Videos were made simple to upload and manage, as they play a key role in making the content accessible to the target audiences. 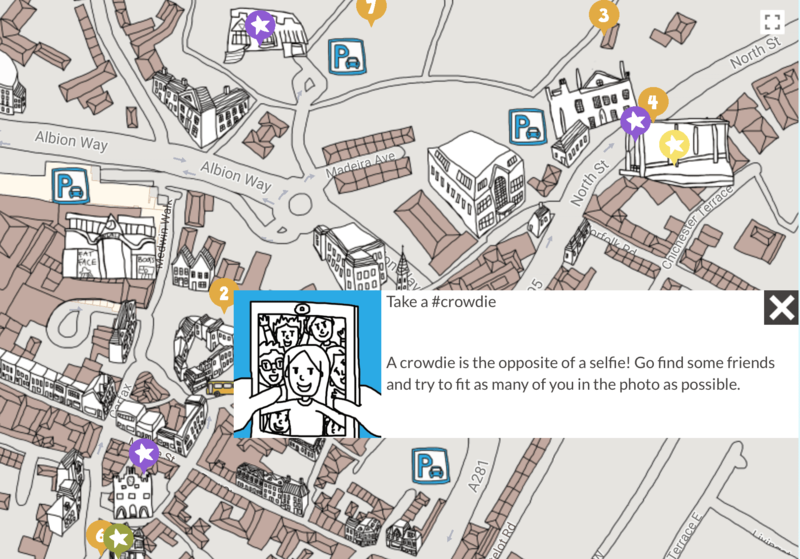 The mobile-friendly web interface includes a game that guides groups of users around a city unlocking “dares” to perform and they have the opportunity to add their comments to the map (moderated by the website administrators). The map uses an illustrated overlay to appear more friendly and in-keeping with the look and feel of the site. Careful consideration was given to include points of interest tailored to learning disabled audiences. For example, a quiet spot, a friendly cafe, a bench for a rest.